Cold sores, also known as fever blisters that are itchy red blisters caused due to infection by the Herpes Simplex Virus 1 and 2. This virus is usually sexually transmitted and causes herpes but when a person comes in contact with any infected product through media such as food, liquid, razors, etc. then the common infection is seen in the form of cold sores. This is usually characterized by red itchy patches and blisters near the mouth, hand and genital areas. Does Hydrogen Peroxide Help Cold Sores? 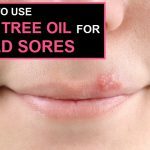 How to Use Hydrogen Peroxide for Cold Sores? 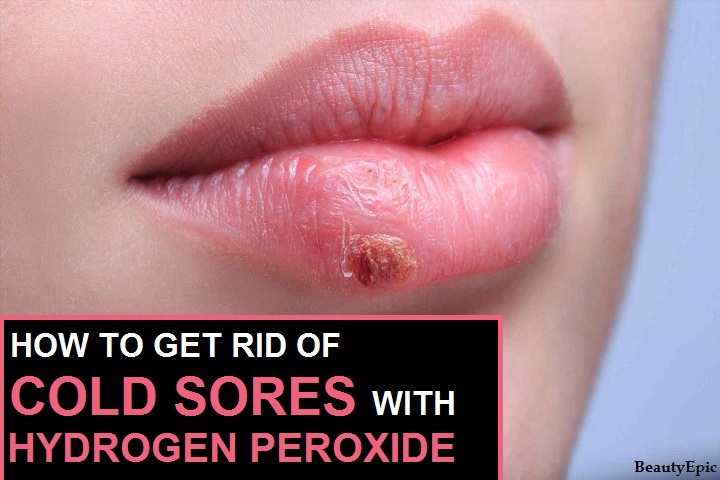 Hydrogen peroxide is an effective anti-septic agent which can help in getting rid of cold sores. Hydrogen peroxide not only helps in removing the blisters but also helps in preventing further spread of infection to other areas. It serves as a disinfectant for small wounds. It also helps in drying the cold sores, thus preventing further infection due to bacteria and viruses. Mix equal parts of hydrogen peroxide and water before use. This solution can be used as a mouthwash. It can also be applied directly on the sores with a cotton swab. Hold it on the cold sore until it stops stinging. Repetitions: Repeat this practice regularly till the time the cold sores cease to exist. Mix hydrogen peroxide with equal amounts of baking soda. This paste can be applied on the cold sores. Leave it on for about 10 minutes and then wash the area. Repetitions: This can be repeated once every day. Mix hydrogen peroxide with equal amounts of table salt. Form a paste and apply it on the cold sores. Leave it on for about 10-15 minutes and then wash and rinse the area. Repetitions: This can also be repeated once every day. 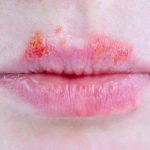 Although the use of hydrogen peroxide cannot heal or prevent further occurrence of cold sores, they are a safe and effective method of treating them at home. Do not keep applying it in perpetuity if the cold sores are not healing up as it would not have any benefit. The best way is to use it directly on the skin using a sterile cotton swab. Hydrogen peroxide is not to be consumed internally. External application of hydrogen peroxide is the only available method for curing cold sores. While gargling make sure that it does not enter the throat as it can cause dizziness and vomiting. Use only 3-10% concentration of hydrogen peroxide when using on the skin surface. Special care must be taken regarding this otherwise the skin would react to it. 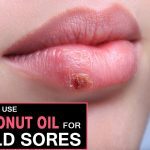 How to Use Coconut Oil for Cold Sores? How to Cure Cold Sores Fast with Garlic?